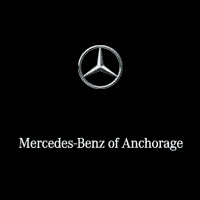 Thank you for visiting another one of Mercedes-Benz of Anchorage's online listings! Please continue for more information on this 2017 Mercedes-Benz C-Class C 300 with 16,059mi. Is it possible to fall in love with a vehicle? It is when your vehicle is as prestige as the Mercedes-Benz C-Class. Start enjoying more time in your new ride and less time at the gas station with this 2017 Mercedes-Benz C-Class. Take home this 2017 Mercedes-Benz C-Class and enjoy the safety and added performance of AWD. The C-Class C 300 has been lightly driven and there is little to no wear and tear on this vehicle. The care taken on this gently used vehicle is reflective of the 16,059mi put on this Mercedes-Benz.